Reading submissions is the most important work that we do. We receive thousands of submissions over the course of our reading period, and we give each of them careful consideration. Our standards are high. We ask, "Does this poem or story or essay offer surprise and delight? Does it seem fresh, necessary, startling? Does the author--young or not so young, someone of established distinction or a talent as yet undiscovered--display a mastery of language, especially as necessary to this particular piece?" What we publish in print in The Kenyon Review, on the one hand, and electronically in KR Online, on the other, will be different in tone and timeliness, and will probably speak to different audiences as well. Nevertheless, it's our mission to offer a great variety of literature all held to the highest of standards. How does this process of evaluation work? KR's offices are in Gambier, Ohio, a lovely wooded village, but very far from any graduate program in creative writing which would allow us to draw readers from among the advanced students and faculty. Instead, we have a tree of readers, beginning with our Kenyon Review Associates, who are themselves carefully selected from a highly competitive pool of student applicants. Before the Associates even begin to read new work, they spend time with our editors, discussing the skill and the art of evaluating stories and poems and essays that are fresh, sometimes rough, but very different from what they usually find in their textbooks for classes. As part of this training process, we work together through a number of samples. Once they are assigned a set of manuscripts, Associates work in teams of two, and if one reader feels a manuscript warrants further consideration, it will be passed up to a higher branch of the tree, where one of our consulting editors will evaluate it in turn. All of this sharing, collaboration, and discussion is aided by our online submission process--it would be almost impossible were we still slinging about shipping boxes full of paper manuscripts. The point here is not merely that we pay individual attention to the precious creations of writers from around the world. We do so because we know that amidst these thousands of unsolicited submissions lie the gems that will make up the bulk of The Kenyon Review and KR Online. It's the labor necessary to fulfill our mission. We wouldn't want it any other way. Featured Guest Poet: Mike Ladd, producer and presenter of ABC Radio National’s poetry program Poetica. Committee members – Andrew Burke, Lucy Dougan, Veronica Lake. Details: Please send us your poems on A4 paper before August 25th, to OOTA, PO Box 142, Fremantle 6959 or email to Flora Smith florabl@iinet.net.au . Help us cover the walls with words. Feel free to decorate/illustrate your work. Venue: Poets visiting several Schools across the metropolitan area. Poets: Guest poet, Marcella Polain and open reading. MC, Donna Ward, editor of indigo. Poets: Featured Guest Poet Mike Ladd, Annamaria Weldon, Vivienne Glance, Afeif Ismail Abdelrazig, Jeremy Balius, Jaya Penelope, Flora Smith and Janet Jackson. Details: A fantastic feast of original poetry from 8 of the best poets in town! MC Vivienne Glance will embellish the evening with poetic puns in between slick guitar, soaring harmonies and inspiring verse. Jen de Ness and Bill Atkinson will dish up a smooth mix of de Ness acoustic, nu-jazz groove alongside original verse. Poets: Featured Guest Poet Mike Ladd, Patron Dennis Haskell, Annamaria Weldon and other Guests. across bridge from the Perth train station. 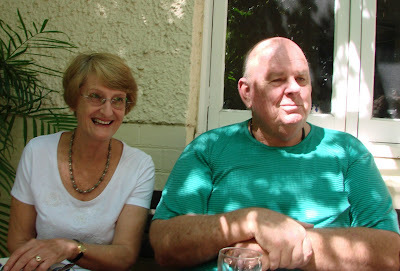 Enquiries: Frances Macaulay Forde: poetscornerwa@yahoo.com.au. Enquiries: Afeif: afeif5@yahoo.com.au, Norelle: naabbott@iinet.net.au or Peter: wapoets@yahoo.com.au. Details: If you wish to read, please contact Maureen Sexton by email: wapoets@yahoo.com.au or put your name down at the door on the night. Venue: City of Perth Library, 573 Hay Street, Perth. Venue: Katharine Susannah Prichard Writers' Centre, 11 Old York Rd, Greenmount. Details: Hosted by Poets@KSP. Objectives: 1. Participants will learn about expanding the boundaries of their poetries by both reading and writing. 2. Participants will have opportunities to write in ways they may not have previously tried. 3. Participants will come away with drafts or ideas for new poems. 4. Participants will learn ways to improve their poetry by editing. Tea and coffee provided. BYO lunch. Details: In this workshop, we will take a very brief look at the history of haiku, then we will get down to writing haiku and senryu, with tips on how to get that ‘aha’ factor, and how to get published. Poets: Master class poets Vivienne Glance, Sally Clarke, Flora Smith, Chris Konrad and Carol Millner will be performing works from their up coming anthology Amber Contains the Sun, plus guest poets Kevin Gillam, Annamaria Weldon, Janet Jackson and OPEN readers. Details: Unamplified. Open stage. Tea & coffee provided, BYO mug. Bring nibbles & drinks to share if you like. Details: Kevin Gillam, published poet and musician. Poets: Natasha L Adams, Lyn Bryce, Andrew Burke, Saz Campbell, Liana Christensen, Dr Sally Clarke, Sue Clennell, Peter Evans, Jenny de Garis, Kevin Gillam, Peter Jeffery, Paula Jones, Chris Konrad, Trisha Kotai-Ewers, Melanie Kwa, Deanne Leber, Mardi May, Julienne Miller, Scott-Patrick Mitchell, Val Neubecker, Maureen Sexton, Flora Smith, Cathy Szathmary, B J Thomason, Michael Williams. Details: Creative Connections is made up of artworks created by disabled artists and the poetry written to the artworks by WA poets. Details: Launch of the magazines and readings by poets. Creative Connections is made up of artworks created by disabled artists and the poetry written to the artworks by WA poets. The 2007 and 2008 magazines contain photos of all the artworks and poems from 2007 and 2008. Details: Readings from the Fellowship of Australian Writers of WA anthology, "Lines in the Sand"
Details: The evening will consist of two parts, the first being "Impressions of Australia", a narrative joining together poems of an earlier time which express the varying views that those early poets had of our country, its people and it's spirit. You will hear works of many well known poets including Banjo Paterson, Henry Lawson, C J Dennis and Dorothea Mackeller along with some from lesser known bards. Following this presentation, supper will be available after which, performing members of the WA Bush Poets will present some of their favourite poems of those golden years of Bush Poetry. Details: Keynote speaker - PCWC Writer in Residence, Andrew Burke. Poetry readings: PCWC members and the general community are invited to read their poetry or just come along and listen. Details: We invite poets, poetry lovers and readers to submit poems for inclusion. 1. Creatrix Poetry Prize and Creatrix Issue 2 Hurry and submit your poems. 2. Featured Guest Poet: Mike Ladd. 3. Open Readings – where to read your poems. 4. Where to send your poems to. or have won any prizes in competitions. Any poems not eligible for the competition, may still be published in creatrix, but any previous publication details must be acknowledged. Please email submissions to wapoets@yahoo.com.au. 2. Featured Guest Poet: Mike Ladd. Producer and Presenter of ABC Radio National’s Poetry Program, Poetica. Mike Ladd was born in 1959 and grew up at Blackwood in the Adelaide Hills. After completing a Bachelor of Arts in English and Philosophy at Adelaide University, he began to publish his poetry widely in Australia. In 1980 he formed “The Drum Poets”, a group of musicians who perform his poetry using conventional instruments, found objects and pre-recorded sounds. In the early 1980’s Mike Ladd travelled in Europe and Africa. Whilst in Senegal, he made recordings of the traditional poet-praise singers known as “griot”. In London he worked for the BBC and the British Institute of Recorded Sound. Returning to Adelaide, Mike began work with ABC Radio. After working as a sound engineer, he became a producer within the Radio Arts department and is currently producer and presenter of the Radio National poetry program “PoeticA”. “Close to Home” (2000) published by Five Islands Press, is Mike’s third book of poetry, his earlier publications being “The Crack in the Crib” (1984) and “Picture’s Edge (1994). Mike’s poetry has been translated and published in several different languages, and his writing for radio has been broadcast in many countries including the UK, Ireland, Canada, Finland, Germany and France. Mike has always been interested in collaborations between poetry and other disciplines, and has made poetic works for live performance, radio, photography, film, installations and the internet. In 2000 he was awarded a Churchill Fellowship to spend time at Churchill College, Cambridge, studying the relationship between poetry and radio. He has conducted many poetry workshops and master-classes for the South Australian Writers’ Centre and regional Arts councils. · OOTA Poetry Reading with Guest poet, Marcella Polain and open reading. Friday 29th August, 12.30 to 2 pm, Function Room, Fremantle Arts Centre, Gold coin donation and poetry books for sale. For more information, contact Jo Clarke, 9339 0847, or josephine.oota@gmail.com. · On 30th August 2008, Poets Corner @ Pages Cafe will invite everyone to take part in a spectacular OPEN MIC which will last all afternoon from 2pm to 4.30pm. Register with your host Frances Macaulay Forde on the day and keep the surprises coming. If you've ever wanted to read but not done so, so far - now's your opportunity... See you there! Free, but please buy stuff from the cafe if you can. Pages Cafe, State Library of WA, Alexander Building, Perth Cultural Centre across bridge from the Perth train station. Frances Macaulay Forde: poetscornerwa@yahoo.com.au. · OPENFACE 08 - Performance Poetry Action, Saturday 30th August 2008, Kaos Room, The Blue Room, Northbridge, 8 pm to midnight, Organiser: allan boyd, allanboyd@optusnet.com.au. · Velvet Voices Poetry Reading and Open Reading, Sunday 31st August, Velvet Lounge, The Flying Scotsman, 639 Beaufort St, Mt Lawley, 6 pm to 9.30 pm, Poets: Special Guest Poet Mike Ladd, Liana Christensen, Sue Clennell, Deanne Leber, Helen Child, Ashley Higgs and Open Reading. Cost: Donation. If you wish to read, please contact Maureen by email: wapoets@yahoo.com.au or put your name down at the door on the night. · Walking on Water, Monday 1st September, Laneway Theatre, Perth. (The building is in the laneway that runs between Murray and Wellington streets, next to the Pier Street (carpark), 7.30pm to 10pm, $5 waged, $3 unwaged, Master class poets Vivienne Glance, Sally Clarke, Flora Smith, Chris Konrad and Carol Millner will be performing works from their up coming anthology 'Amber Contains the Sun', plus guest poets Kevin Gillam, Annamaria Weldon, Janet Jackson and OPEN readers. Unamplified. Open stage. Tea & coffee provided, BYO mug. 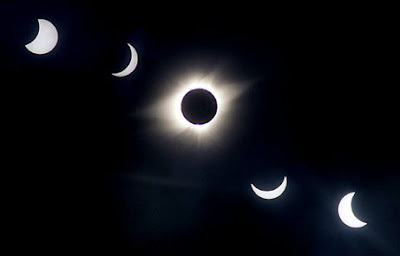 Bring nibbles & drinks to share if you like. Enquiries: Jane Cornes: 0414 862 306, jcornes@iinet.net.au. · Lunchlines, Friday 5th September, Edith Cowan University, 1 Bradford St, Mt Lawley, 12.30 to 1.30 pm, Guest Poet: Sarah French plus open reading, Room ML 17.220, For details: contact Dr Marcella Polain on 08 93706322 or at m.polain@ecu.edu.au. · OOTA Poetry Wall, State Library of Western Australia, 29th August to 5th September, Please send us your poems on A4 paper before August 25th, to OOTA, PO Box 142, Fremantle 6959 or email to Flora Smith florabl@iinet.net.au . Help us cover the walls with words. Feel free to decorate/illustrate your work. For more information, contact Jo Clarke, 9339 0847 or josephine.oota@gmail.com. · Poetry of the Sacred, Sunday 7th September, 2 pm to 4 pm, St John's Church in the Square, Fremantle, Local Poets, their friends & supporters, will read their own poems & the poetry of others. We invite poets, poetry lovers and readers to submit poems for inclusion. Music and refreshments. Free. Contact: Patrick Speed: 0400 231 591, patwiland@iinet.net.au. What do we mean by “Sacred”? Poems of hope through despair, Poems of gladness, Poems that express both the finiteness of life and the infinity beyond life, Poems about God and the Wholly Other, Poems about the absence of God, of doubt and scepticism, Poems about the sacredness of space, of the world, of all living things, Poems about me and about you, Poems that say YES and poems that ask questions, Poems (in the Great Tradition) and Songs of Innocence & Experience. Venue: Several Schools across the metropolitan area. Poets: Mike Ladd, Annamaria Weldon, Vivienne Glance, Afeif Ismail Abdelrazig, Jeremy Balius, Jaya Penelope, Flora Smith and Janet Jackson. Poets: Mike Ladd, Dennis Haskell, Annamaria Weldon and other Guests. Details: Launch of the book/booklets and readings by poets. Creative Connections is made up of artworks created by disabled artists and the poetry written to the artworks by WA poets. The 2007 and 2008 books/booklets contain photos of all the artworks and poems from 2007 and 2008. 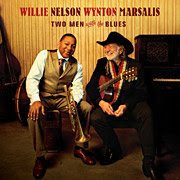 I've been spinning this disc on my car CD player for a couple of weeks now, fascinated by the juxtaposition of Willie Nelson's voice and the tight band lead by Wynton Marsalis. Two-step stomps, songs with jazzy harmonies, and liberal group improvisation–the stuff of western swing–remain hallmarks of Nelson’s style to this day, and the natural ease of a lifetime steeped in the music informs Nelson’s most recent CD release, Two Men with the Blues, a fantastic live collaboration between Nelson (with his harmonica player Mickey Rafael) and Wynton Marsalis’ Jazz at Lincoln Center quintet captured by Blue Note records. The repertoire is a mix of Nelson classics (Night Life, Rainy Day Blues), Hoagy Carmichael tunes (Georgia, Star Dust–Carmichael has no greater living interpreter than Nelson) and blues of varied provenance (like Basin Street Bluesfamously recorded by Willis among a million others). Wynton Marsalis’ cultivated devotion to prewar jazz allows the music here to fit Willie like a custom cut Brioni suit. There’s no chance of that Willie’s improvised, off the beat phrasing could throw this crew, and Willie responds with his jazziest vocal performance on record, rarely singing a melody straight. Willie’s guitar solos are wonderful here too, although, truth be told, at 75 and suffering from carpal tunnel syndrome after decades on the road, Willie’s not the guitarist he used to be and there are plenty of better examples of his chronically underrated guitar soloing elsewhere in the Nelson discography. Pianist Dan Nimmer is a stand out here. At 25, he’s already a monster, proving himself a brilliant vocal accompanist AND a great soloist. The CD’s best performance comes on My Bucket’s Got a Hole in It–an early jazz staple written by pioneering New Orleans pianist Clarence Williams and recorded by both Louis Armstrong (who got early work as a Williams sideman) and Hank Williams. Not only do Willie and Wynton clown their way through great vocal performances, but the band plays remarkably well–comfortable with the old-time beat. Drummer Ali Jackson plays one of the best drum solos I’ve ever heard, a break so melodic you can just about sing along with it. In a promo video prepared for the CD release Willie said: “Labels were invented to sell the music. You had to know what to call it before you could sell it so they called the blues the blues, and jazz is jazz, bluegrass, gospel, whatever. But some music encompasses it all. So what do you call that? And that’s pretty much what I like to play.” Mission accomplished. I often think of the thousands of poetry books produced by small presses around the world in all the world's various tongues, and wonder what happens to them. My little books appear here in a flourish and I am excited, have a party, read poems from them to anyone who will stand still long enough, and (sometimes) get reviews in low-figure subscription magazines or in the barely-read arts pages of the everyday press. When I die, will they be an embarrassment to my children? What the hell do you do with Dad's old books? My eldest son is about to have his first book published, so maybe he will care and give them a graceful exit in some way. It is a sunny Sunday, another spring is around the corner, I must think positively - perhaps some collector will keep a complete collection somewhere and hope to cash in, mysteriously, some day. Poetica’s contribution to National Science Week, featuring the poems of Carol Jenkins. In this program, Carol speaks about her writing process and the sources of inspiration for her Science poems, drawing on her expert knowledge of Science and Law. Images by the illustrator and author Shaun Tan adorn the Children's Book Council's advertising for this year's Book Week (16-22 August, 2008). Reflecting on his fascination with both writing and painting, he reveals his thoughts on visual literacy and about creating an intimate distance between words and pictures. In 1348 the Black Plague raged over most of Europe. The following year the young Giovanni Boccaccio, whose reputation as a writer and friend of Petrarch was growing, began his most famous work, The Decameron. It told the story of ten young aristocrats from Florence who, to escape the plague in the city, took refuge in a villa on an estate in the Florentine countryside. To while away the time the three men and seven women each told a story a day. There were 100 stories in all. It pays not to be too disrespectful of those in authority for two ignorant peasants in China. Fragments of Hong Kong, by Katherine Thomson, featuring Ivy Mak; Peta Sergeant; Karen Pang; Patricia Yiling Toh and Michelle Vergara. On the eve of the 1997 British handover of colonial Hong Kong to China, Fragments of Hong Kong is an intimate journey into the lives of six Hong Kong women whose lives are brought together and changed forever, by an unexpected and dramatic event. Western Australian writer Amanda Curtin's new novel The Sinkings deals with the 19th century murder of an ex-convict called Little Jock, who had lived his life as a man, but was found in death to have been a woman. Amanda Curtin uses this story to traverse some difficult territory, exploring the experience of being neither man nor woman, of being born of indeterminate gender and what that might mean, not just for a child, but also for a mother. American entrepreneur and publisher Barney Rosset mounted landmark, and ultimately successful, legal battles for free speech over the right to publish an uncensored version of Lady Chatterley's Lover and over Henry Miller's controversial novel Tropic of Cancer. He introduced Americans to writers such as Samuel Beckett, Eugène Ionesco and Harold Pinter and published many of the writers of the Beat generation, including William Burroughs and Jack Kerouac. Filmmakers Neil Ortenberg and Daniel O'Connor have recorded the achievements of this passionate, and at times infamous, crusader for free expression in their documentary Obscene. Self-deprecating writer David Sedaris was 'humorist of the year' in 2001 after his book Me Talk Pretty One Day received rave reviews. Sedaris has written six mostly autobiographical works. His latest is When You Are Engulfed in Flames. Award-winning writer Sonya Hartnett, children's literature specialist Professor John Stephens and illustrator and author Tina Matthews discuss writing for children. Betrayed by her husband, Annabelle Beck retreats in confusion and pain to the supposed sanctuary of her old family home in Townsville. There she meets and begins work with Bo Rennie, an ex-stockman and Jangga. Annabelle is increasingly intrigued by Bo's modest assurances that he holds the key to her future and she sets out with him on a path of recovery that leads her back to her childhood. What happens to a band that sees its future packed in a thirteen-tonne truck on a never-ending highway? For eighteen years, Mark Seymour fronted one of Australia's most loved and hard-working bands, Hunters and Collectors. With superstardom always just beyond reach, they hit the road, becoming an efficient and relentless touring machine that kept pubs overflowing around the country. With a lyricist's eye for detail, Mark reveals the endless fried breakfasts, between-gig comas, bewildering industry negotiations and the struggle to be heard in a democracy of blokes that, as an artistic collective, shared everything equally, from the drinks rider to songwriting copyright. Theme: SONGS OF INNOCENSE & EXPERIENCE! Poets: Local Poets, their friends & supporters, will read their own poems & the poetry of others. What do we mean by “Sacred”? Sorry - 1 Address wrong, but the info is right! It promises to be an interesting and inspiring afternoon. We begin at 2pm so get your 1st coffees in early. Many thanks, as always, to PAGES CAFE and the WA STATE LIBRARY for their on-going support of POETS CORNER. We are pleased to announce the publication of the fourth issue of Cha: An Asian Literary Journal (August 2008). The new issue features 24 writers/artists: Gil Azouri, Isabela Banzon, David Braden, Winnie Chau, Grace V. S. Chin, SuzAnne C. Cole, Rocco De Giacomo, Lee Herrick, Louise Ho, Philip Holden, Kristy Joe, Ken Kamoche, William Kimzey, Gilbert Koh, Franky Lau, Mary Lee, Manuel Libres Librodo Jr, Lyn Lifshin, Reid Mitchell, Evelde Mourne, Papa Osmubal, Thaila Ramanujam, Margaret Stawowy and Ouyang Yu. To read the issue, please visit our website at http://www.asiancha.com. Our first anniversary issue is due out in November 2008. Poet and historian Reid Mitchell will lend us his expertise in the role of guest editor. If you are interested in having your works considered for publication in this special issue of Cha, please read our submission guidelines for details. Not Finding Wittgenstein is a spectacularly original work, sending Peter Rabbit ("Peter Henry Lepus") on a serio-comic quest in which he tries to write a rabbit History of Philosophers, converses with Bertrand Russell and Ludwig Wittgenstein, and crosses war-torn Iraq with a journalist, a huntsman spider, and a camel. Not only does Harry manage to make all this make sense, but she also presents us with an utterly unique way of seeing the world in all its horror and complexity. Throughout, Harry offers some of her most innovative and lyrical work. This is, in my view, a master work. . Using Edmund Burke's A Philosophical Enquiry into the Origin of Our Ideas of the Sublime and Beautiful (1757) as its ironic intertext, Kinsella's latest work takes a characteristically clear-eyed view of Australian landscape. Throughout the collection, Kinsella considers the relationship between history, landscape, violence and aesthetics. His connections are often startling and always open to the complex ways in which "experience" and "poetry" are intertwined, so that his work is both profoundly sensate and deeply lettered, intensely political and powerfully personal. His poetry is, as ever, energetic, intense, original, and brilliantly inventive. Bark shows once again the peculiar power of Anthony Lawrence's vision. Attuned to the poetics of space and the quiddity of things and animals, Lawrence's poems repeatedly offer us new ways of seeing. By taking the usually unnoticed or unthought-of (marine stingers, the sport of luge, wombats) Lawrence fashions extraordinary poetic essays that involve his considerable wit, style, and formal skill. Lawrence's fascination with landscape, seascape, and animals is unsentimental and bracingly aware of humans' ambiguous relationship to those things. As such, his poems move powerfully between the modes of praise and protest. David Malouf's late return to poetry (where his career began) is a welcome development in the career of one of Australia's best-known and most successful writers. Typewriter Music brilliantly illustrates Malouf's profound metaphorical skills. The collection's poems are poems of transformation, taking the details of everyday life and fashioning something rich and strange out of them. Malouf's poems of love, ageing, and mortality are moving and insightful. Seven Last Words of the Emperor Hadrian is a minor masterpiece, showing Malouf's inventiveness and abundant linguistic talents. Scar Revision is concerned with the literal and metaphorical scars of grief, parenthood, and love, tracing moments of intensity, and the long intensity of familial and personal history. Ryan's compelling poems are both direct and metaphorical, marked by their striking imagery and rhythmic skill, as well as their skilful blend of demotic and lyrical language. They are also notable for the way they balance seriousness of purpose with an arresting sense of humour. The book is a powerfully coherent collection, offering brilliant poetic models of how we "revise" the scars caused by experience and loss. Judith Bishop's Event is distinguished by the sophistication and originality of its varied subject matter, its attention to craft and form, and above all by the intensity of its language, which confidently creates striking effects - sometimes dark, sometimes brilliant, often daring. The consistent poise and thoughtfulness of Lisa Gorton' poetic voice in Press Release is remarkable, whether modulating into intellectual speculation, wry humour, or an elegiac tenderness utterly unsentimental or self-regarding. Many poets have written about the Mallee: Gorton's sequence manages to be original, technically varied, and at once witty and poignant. Barry Hill has several earlier collections, but the judging panel found in As We Draw Ourselves the element of fresh directions we were privileging in well-known contenders. That poetry about art can be a way of exploring what it is to be human is a traditional enough theme, but Hill's tri-partite locating of his texts in China, Italy and Australia extends the thematic range, and, in particular, allows the admirable delicacy and elegance of the poems in the opening Chinese section to contrast strikingly with the morerobust quality of the Italian. Thanks to Alison Croggon, herself a recently published poet with a new book THEATRE now vailable wherever SALT titles are sold in Australia - and, presumbaly, around the world - for all the above information. In 2007, Overland and the Malcolm Robertson Foundation joined forces to create the Overland Magazine Judith Wright Prize for New and Emerging Poets. We are pleased to announce that in 2008 the prize money has been increased to $3000, with two minor prizes of $500. Eligible poets are those who have not yet had a collection of their work commercially published (that is, by a publishing house with commercial distribution). A maximum of three unpublished poems is allowed per entrant. The poems will be judged by Overland’s poetry editor, Keri Glastonbury. The winning poem will be published in the magazine. by Friday 7 November 2008. Winners will be announced in Overland 194, March 2009. This prize is made possible by the support of the Malcolm Robertson Foundation. ROME (Reuters) - Catholic nuns and priests in Italy are following their flocks to the beach this summer, establishing an inflatable church and a beach-convent in the sands to lure sunbathers. The 30-metre (98 ft) long blow-up church -- staffed by priests ready to take confession -- will debut on Saturday on the Adriatic coast in the Molise region, an organizer said. "There will be four or five people singing, with music about God," said Chiara Facci with Catholic group Sentinelli del Mattino. Night time activities, which will not include Mass, will run from 10 p.m. to 1 a.m. The first attempt to inaugurate the inflatable church last month on the holiday island of Sardinia failed after strong winds forced organizers to relocate, she said. On the Mediterranean coast, nuns from a convent near the southern Italian city of Naples have relocated to beach cabins to join holidaymakers saying the rosary. An adjoining altar was set up under two tents. "The concept of a beach-convent is something that is appreciated by vacationers and the nuns themselves," priest Antonio Rungi, who helped spearheaded the initiative, told Italian news agency ANSA. Les Murray, Sarah Day, Anthony Lawrence: Poets Reading. 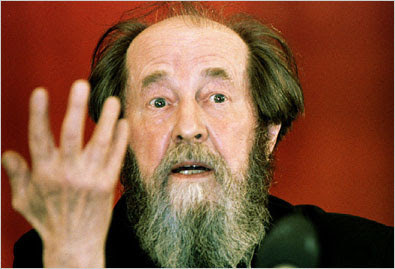 MOSCOW (AP) -- Aleksandr Solzhenitsyn, the Nobel Prize-winning author whose books chronicled the horrors of the Soviet gulag system, has died of heart failure, his son said Monday. He was 89. Stepan Solzhenitsyn told The Associated Press his father died late Sunday, but declined further comment. 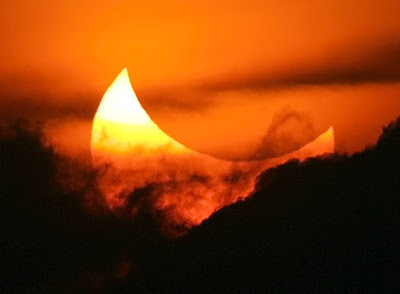 A total eclipse of the sun is to take place in the Northern Hemisphere on 1 August.